Resting Petals is a shop that has cute accessories and trinkets inspired by vintage fashion and J-Fashion styles such as mori girl and natural kei. They sent me some cute accessories for review, and I hope you love them as much as I do! The package I received from Resting Petals was a nice USPS mailer: Nothing was damaged, and everything was in mint condition. No flaws or loose threads in sight. 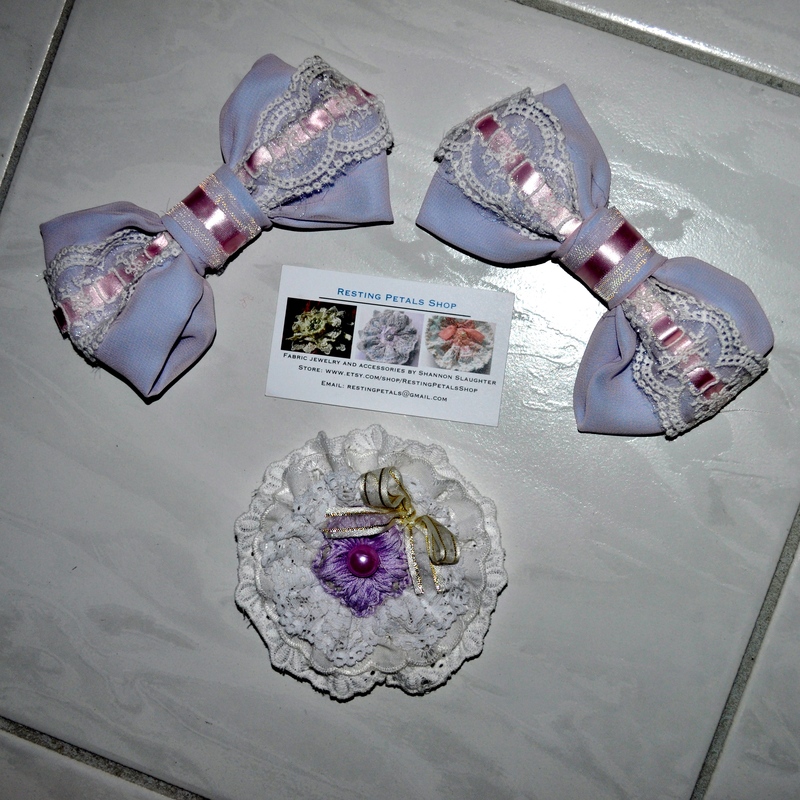 Here is a photo of the products without flash: And with flash: Resting Petals also included a business card for me! The two bows have alligator clips attached to the backs. The brooch can be worn as a brooch or a hair clip; there’s both a pin and an alligator clip on the back. 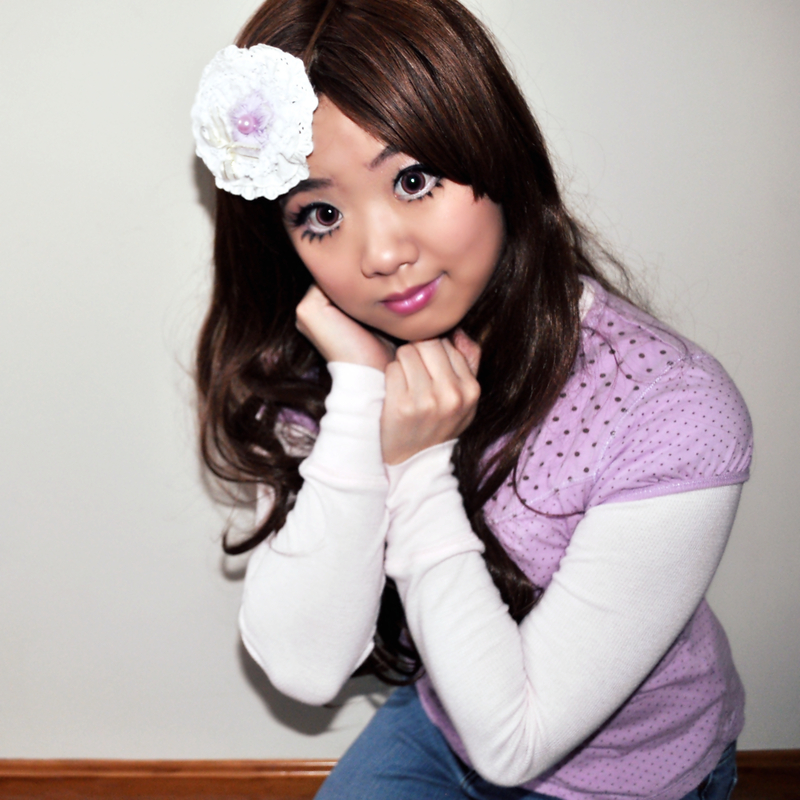 Here’s a photo of me modeling the brooch: And you may recognize the set of two pastel bows… I wore it with a super pastel outfit the other day: You can see the bows holding my wig hair at the bottom! I tied hair elastics onto the wig first, and then clipped the bows to the elastics. 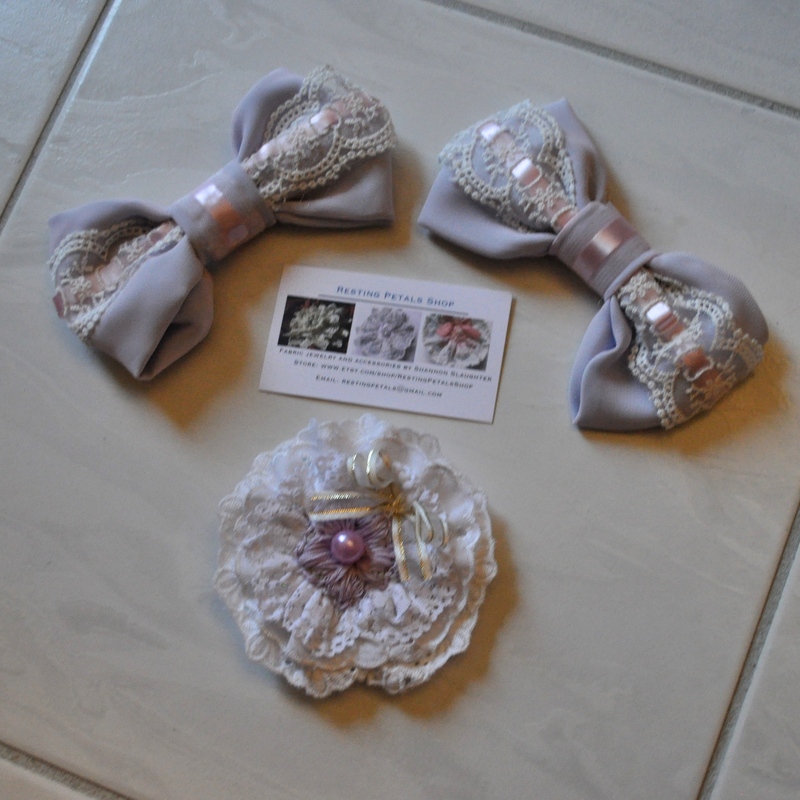 Aren’t these bows so cute? 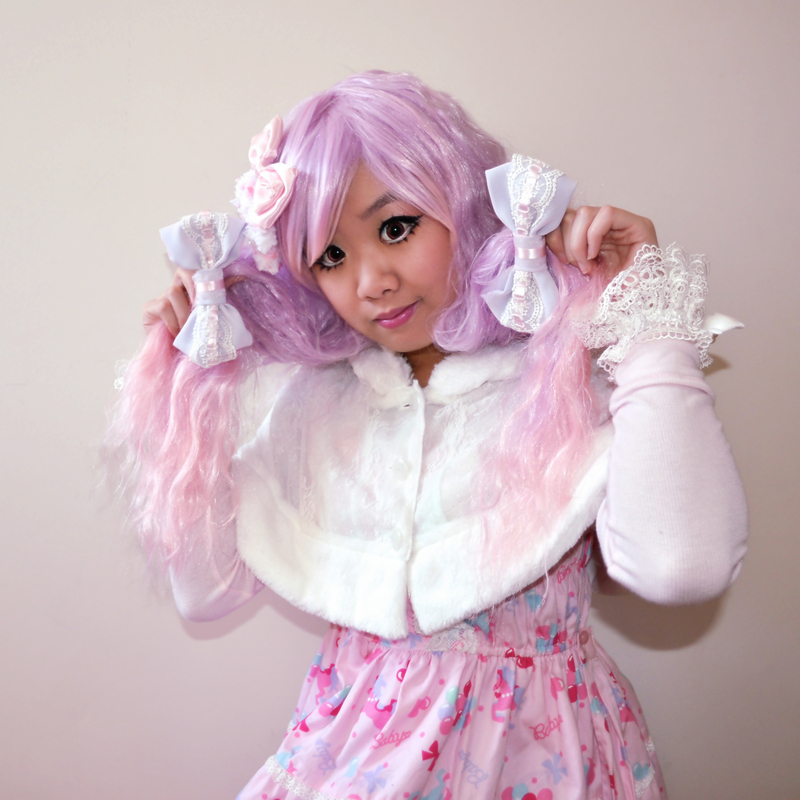 I’m not sure if the bows will stay in my real hair, since I usually need bows with French clips or alligator clips with strong teeth (my hair is very straight and very thick), but these bows work just fine with wigs like this one. 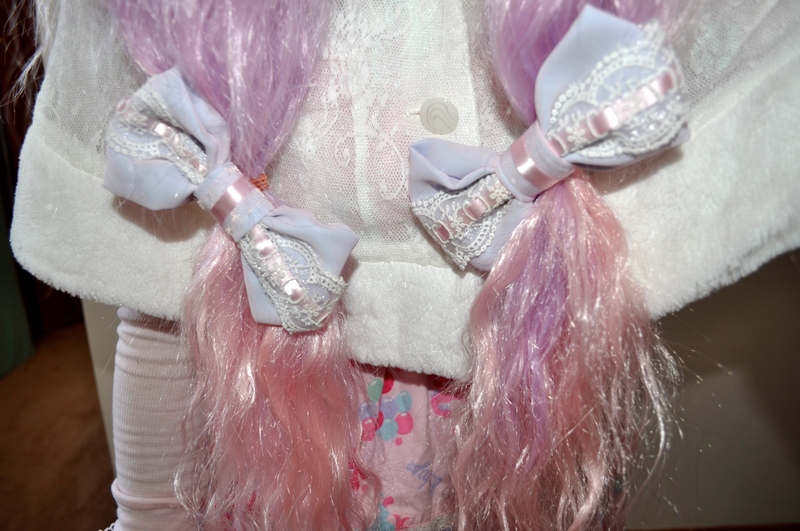 Definitely check out Resting Petals for more adorable hair accessories! If you love their work, like their Facebook page too. Click here to see my photo album dedicated to Resting Petals. I hope you enjoyed the review!